The statistics are chilling - everyday over 20 children are wounded - or killed - in accidental shootings. The Gun Trigger Block is both an alarm and trigger block that can prevent tampering, theft, or worse - a tragedy! If you're a gun owner you've likely thought about how to minimize the threat your gun poses if it fell into the wrong hands. Whether a child who finds your gun and decides to play with it, or a thief who steals it and possibly even uses it on you or your family. It is the responsibility of gun owners to take the necessary precautions to make guns as safe as possible when storing them at home. 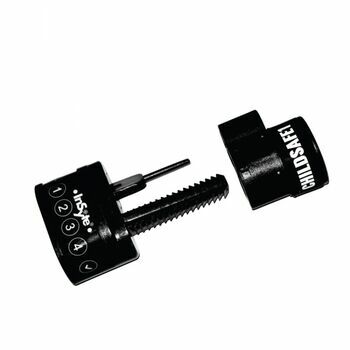 The Gun Trigger Block w/Dual Alarm can secure your firearm in several ways, preventing tampering, theft, or tragedy. The Gun Trigger Block w/Dual Alarm is the world's most advanced method of stopping a child from pulling a gun's trigger while also making the gun ready to fire almost immediately. The patented trigger block uses a childproof medicine bottlecap approach. To remove the trigger block a code has to be entered and then strong springs compressed. Even if they know the code the strong spring would be too much for a child to compress it and open it. The device was tested on over 100 children 12 years of age and younger and not one was able to remove it. Trained adults can remove the block in 2 seconds, quietly and in the dark, giving them quick access in an emergency. Additionally, the ChildSafe1 has both a motion and trigger block removal sensor with a 90 dB alarm. 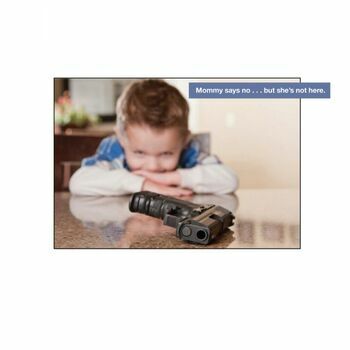 If the gun is moved, or someone attempts to open the trigger block, the loud alarm will sound alerting parents. 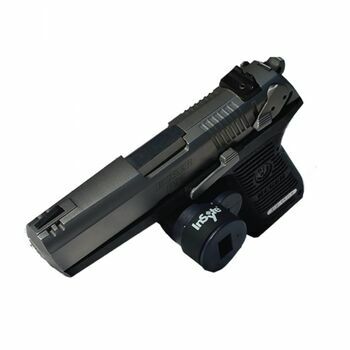 The Gun Trigger Block w/Dual Alarm PREVENTS ACCIDENTS, REDUCES INJURIES... SAVES LIVES... THEFT AND CHILD DETERRENT and everyone is safer and has greater peace of mind.